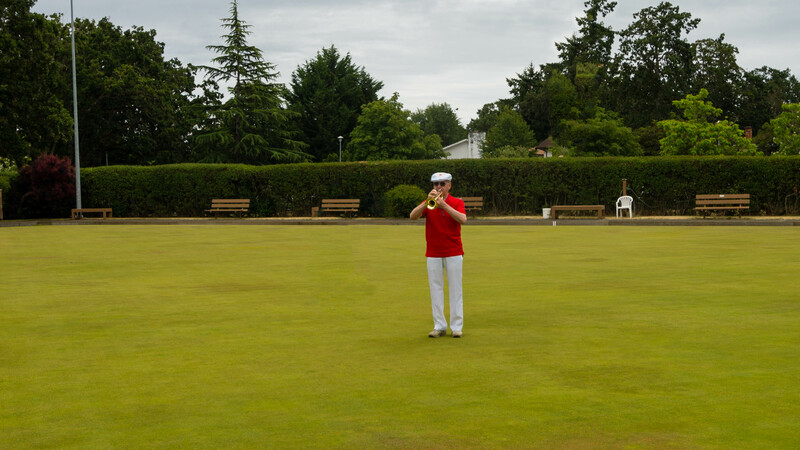 The game is known around the world as Bowls, Lawn Bowls or Bowling on the Green. • It is played on a bowling green which is 120 feet square. • The green is marked off into 8 rinks so that 8 games can be played at once. • Rinks are 14 feet wide. • Singles – One against one. Each player delivers four bowls. • Pairs – Two against two. Each player delivers four bowls. • Triples – Three against three. Each player delivers three bowls. • Fours – Four against four. Each player delivers two bowls. WHAT EQUIPMENT DO WE NEED TO PLAY ? • A set of 4 matched bowls each of which weighs between 3 to 3 1/2 pounds. • The jack. A small white ball approximately 2.5″ in diameter. • A mat. Approximately 14″ wide, by 24″ long, no more than 1/4″ thick. 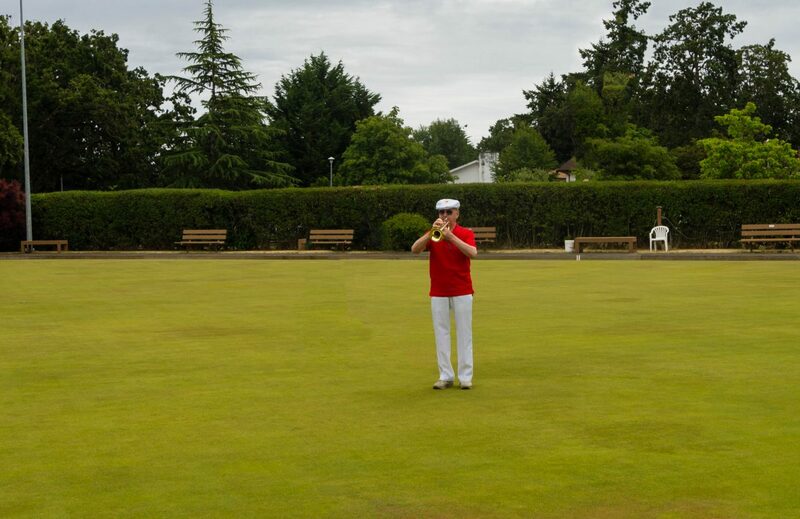 The Club owns bowls which are available for use by beginning players during their first year. After that members are encouraged to purchase their own set of bowls. 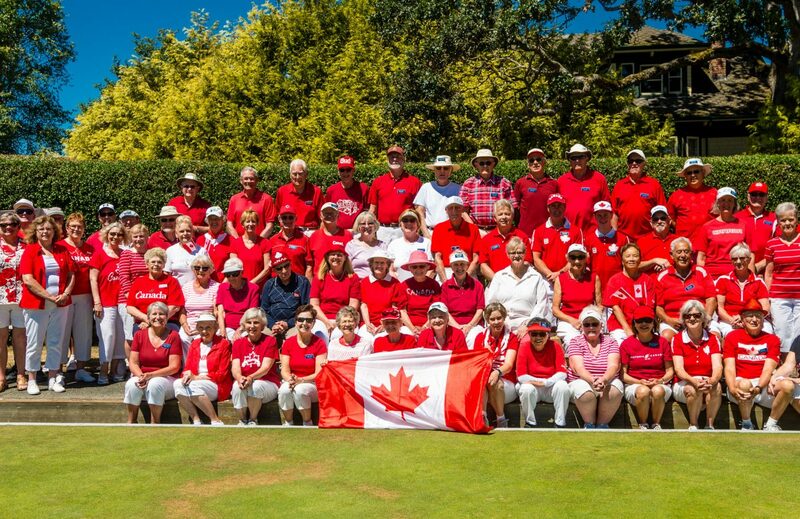 When players determine they will continue participating in lawn bowling they purchase a set of new or used bowls which become their personal property. Jacks and mats are furnished by the club. Flat rubber soled shoes are required and each player must furnish his own. WHAT’S THE OBJECT OF THE GAME ? While the object of the game is simple and straightforward, it requires practise and skill to be proficient. Each player takes turns rolling his or her bowls down the rink in such a manner as to come to rest as close as possible to the jack. After everyone on both teams has delivered all their bowls, the team with the bowl nearest the jack scores one point for that bowl and an additional point for each bowl closer to the jack than the nearest bowl of a player on the other team. THE BOWLS CURVE AS THEY ROLL. WHY ? HOW LONG DOES A GAME LAST ? 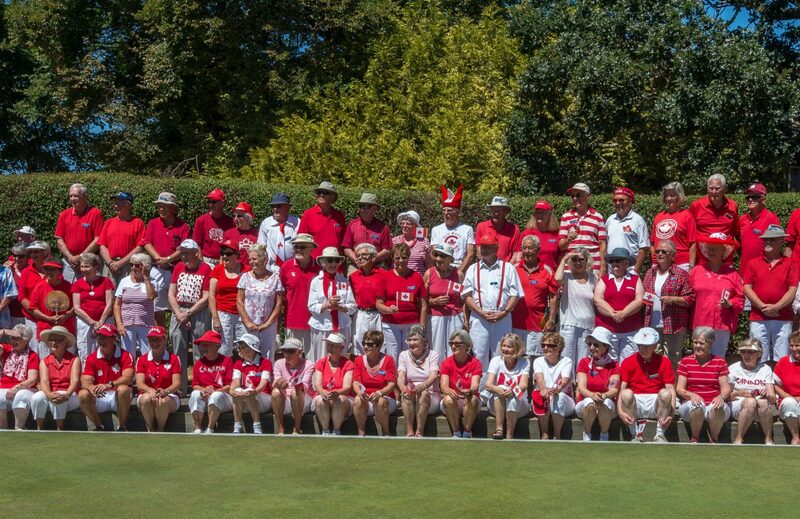 Lawn bowling games are divided up into a number of ends. After all players on both teams have delivered their bowls on the green, this completes the play of one end. A game consists of a number of ends decided upon before the start of the game or tournament, or sometimes, as in a singles match, to a predetermined number of points. 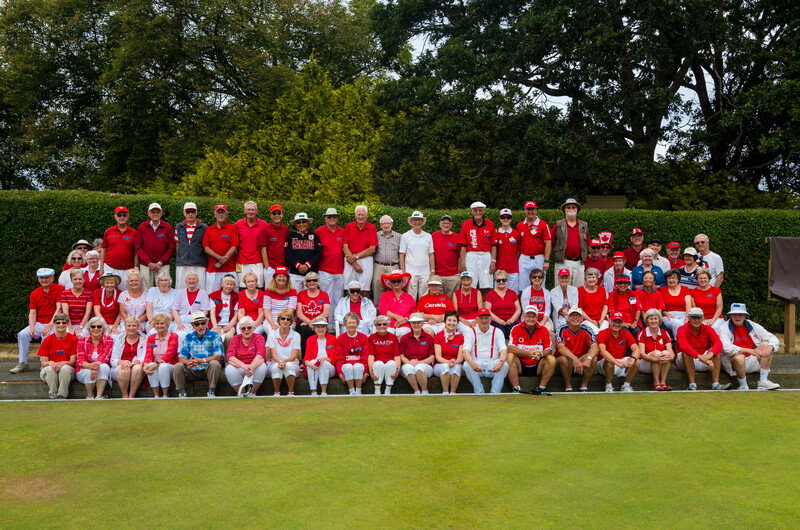 At GHLBC Lawn Bowling games are normally 14 to 16 ends. A typical 14-end game lasts about two hours. HOW DOES THE GAME PROCEED ? Before the game; the Skips flip a coin to determine which team will deliver the jack on the first end. The game starts with the lead placing the mat at one end, and then rolling the jack from the mat toward the other end. The jack is then centered on the rink. The leads and vices stay at the mat end and the skips are positioned at the jack end or “Head.” The leads then deliver their 3 bowls alternately. Then the vices deliver their bowls. The leads and vices then proceed to the opposite end of the green and the skips go to the mat end and bowl their three bowls. The score for the end is then determined and entered onto a score card or score board. The team winning the end sets the mat and rolls the jack to start the next end. WHAT IF THE BOWL HITS THE JACK ? During play, the jack may be hit and be moved by one or more bowls. There is no penalty for hitting the jack. A change in position of the jack may put it closer to the bowl of the person who is bowling or it may put it closer to a bowl of an opponent. If the jack is knocked out of bounds (outside the side boundary lines of the rink), the end is called a “burnt” end. A burnt end is either played over or is considered a played end with 0 score for both teams, depending on the rules in play. At GHLBC, a burnt end is usually considered a played end, except during tournament play when it will be announced before play begins whether a burnt end is considered played or is to be replayed. If the jack is driven into the ditch, the play continues unless the jack is at the same time knocked out of bounds as well. Each bowl that is bowled and hits the jack is marked with chalk. Bowls that have hit the jack will continue to be a live bowl if it is subsequently knocked into the ditch. HOW ARE THE BOWLS IDENTIFIED ? Each set of bowls has a unique insignia or marking for easy identification. Bowls have traditionally been black or brown in color, but in recent years, they have been manufactured in many colors, such as blue, red, yellow, and pink. Men and women. Young and old. 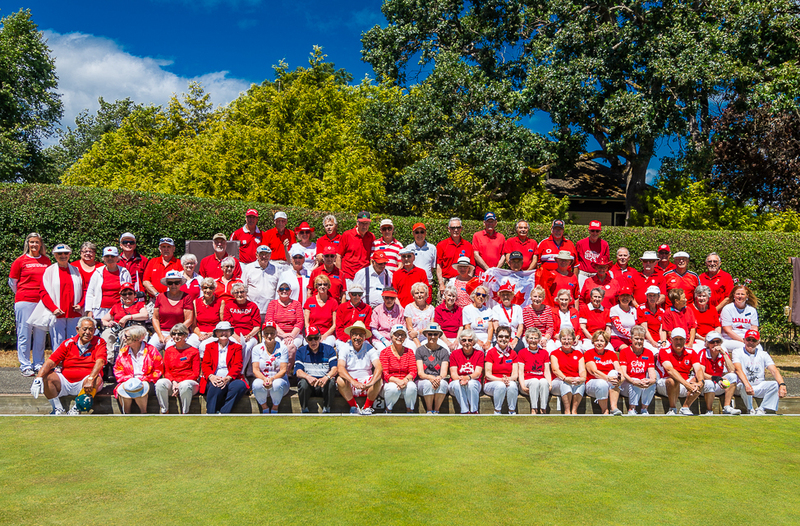 Bowls is a game that can be played and enjoyed by people of all ages. The game is a constant challenge because of the ever changing position of the jack and bowls which have come to rest. While most bowlers play for fun and recreation, some participate in club competitions or competitions held between clubs.